CNC machining is a vastly used term in engineering and industrial manufacturing sector. CNC machining is a technique or process used in industry to control machines through computers for production of different machine parts. CNC stands for Computer Numerical Control. Different type of tools is controlled through CNC machine including mills, lathes, and grinders. CNC machine is actually a combination of machines like lathe and milling machines and is controlled through coding which is programmed through computers to manufacture different parts. If you want a part manufactured through CNC machining production process then there are some terms you should know. There are different techniques to use in CNC machining and they have certain advantages and to get your work done precisely you should know how these techniques work? CAD drawings are made through different software on the computer. These drawings are created in 2D and 3D. CAD stands for computer aided design. CAD drawings are created with precision on the software for later use. 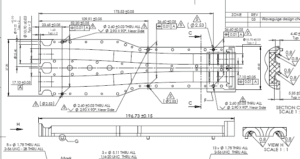 These drawings are used for analysis and CNC machining production. There are different software for creating CAD designs and almost all software has the capability to create a precise model for CNC production. It is already mentioned that CNC machine uses special coding for the production of parts. This code which CNC machines use usually is called G-code. This code contains the instructions for the machine to operate at certain angles, for a specified time, repetitive cycles, coordinates and rotation speed of the tool being used. These CAD drawings or files can be used by CNC machines to generate parts but before that to convert these 3D drawings to G-code, a CAM software is needed that could translate different parameters from the drawing to generate G-code. CAM stands for computer aided manufacturing. Now, this G-code is the instruction for the computer, controlling different tools, to generate the desired parts. This code works in small parts. Each line of the code has the information about the part that is to be generated from a raw material block. CNC machine works in three dimensions. Now if you need a part to be produced exactly the way you want it then you must provide a 3D drawing for that. How is coding done? and How does it work? CNC machine can also be coded manually but there might be a mistake in doing so. As code contains a lot of information in it and works using one instruction at a time so if something is interpreted wrong then it might ruin the whole geometry of the part you want. For example, you have a block and you want to create some holes in it, cut the edges on certain angles and remove some of the parts completely at some angle. Now a G-code will be generated accordingly in a different combination of numbers and this code will instruct the machine to move at specific lengths and angles. If a little mistake is done during this process and the set of angles you want on the longer side of the part is interchanged with the set of angles on the shorter side of the part then the whole geometry of the part is ruined. For such mistakes to avoid 3D drawings are used. 3D drawings are created in software. Different software for 3D design has a different user interface and commands to generate a design. Mostly first of all length and width and their dimensions are selected to create a 2D design of the part and then by extruding it for certain thickness a 3D design is generated. Now different operations are performed for making different changes in the design. Making any pattern of holes in the part and removing some material at some angle can be done in the software to generate exact part you desired. Now to create this part through CNC machining CAM software is used to generate G-code for instructing CNC machine. There are different CAD/CAM software like Autodesk which is used to generate the 3D design and then convert that to G-code. After saving the G-code file appropriately now an exact part will be created through CNC machining production using this code precisely. Although 3D design takes some time depending on its complexity it is easy to handle this process with this technique. So to get what you want exactly have a 3D design generated. 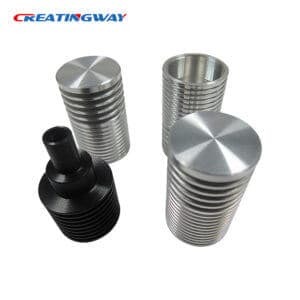 Make sure that the 3D design is the exact one as you want and then get it manufactured precisely through CNC machining.